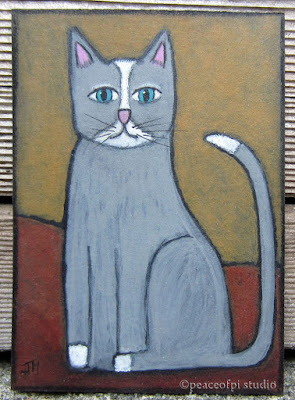 Painted in the folk art style, this grey cat painting is another miniature, at 2.5 X 3.5 inches. 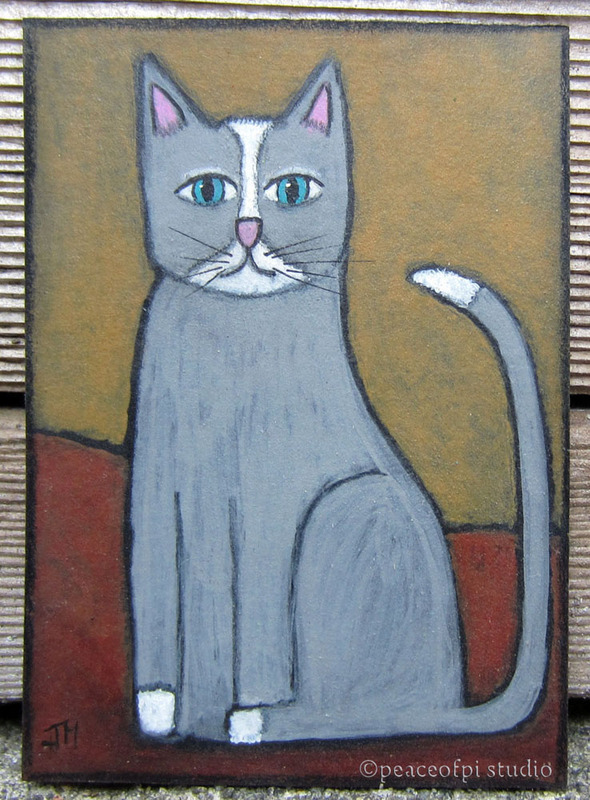 This painting is part of series of ACEO (Art Cards, Editions and Originals) or ATC (Artist's Trading Cards), the only commonality for this series is the size. So far the subject matter includes birds, cats, and abstract pieces. 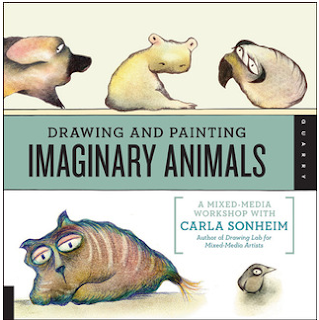 Try your hand at cute and curious animal creation with Drawing and Painting Imaginary Animals, a Mixed Media Workshop. Start with a blob and transform it into a quirky animal with the step by step instruction and inspiration from Carla Sonheim. Fun, playful and very do-able, this book is a great workshop for anyone looking to doodle their own menagerie. Check out Imaginary Animals!